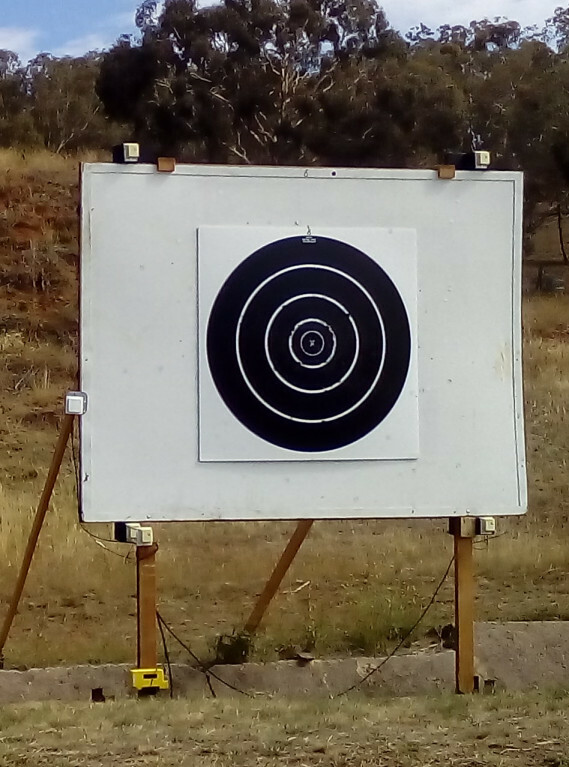 Silver Mountain Targets | Bathurst Rifle Club Inc.
Before going into specifics of the Silver Mountain Targets (SMT) system I'll cover some general info on Electronic Targets (ETs), their requirements and uses for Long Range Full-bore Target Rifle. Electronic targets are automated scoring systems used in shooting sports where the shot placement and score is automatically calculated using electronics and presented on screens to the scorers and shooters. The score may also be shown on a big screen for spectators at the shooting range. 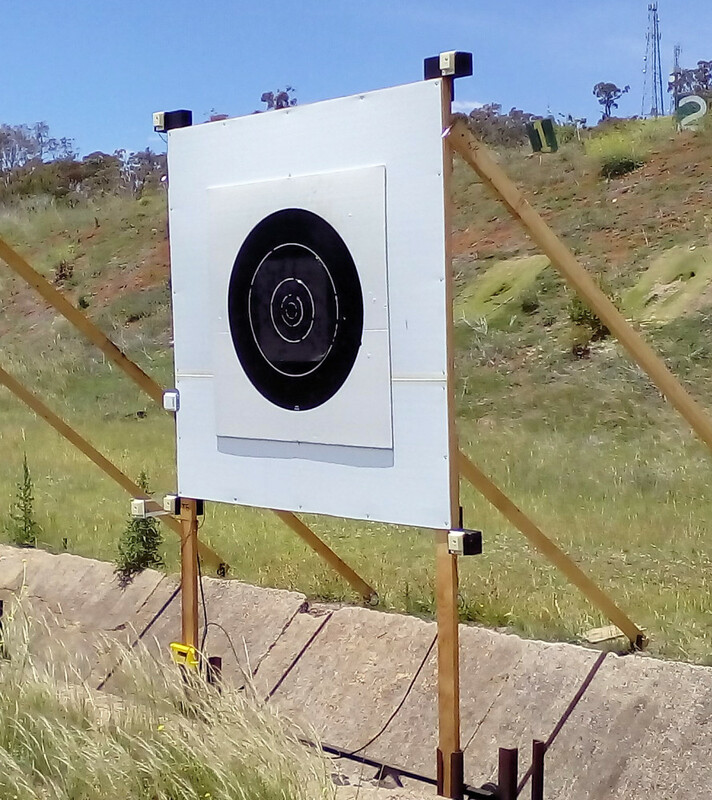 With traditional paper targets the audience has to understand the signals used for scoring, while with electronics the current scores can be shown on big screens, personal tablets or smart phones within seconds of the shot being fired and spectators can easily follow the shooters progress, this has revolutionized shooting sports in many ways. Currently, only acoustic systems are available that are suited for Long Range Full-bore shooting. All types of acoustic electronic targets use some form of trigonometric equations to triangulate the position of bullet impact. Sound-chamber targets are the oldest type of electronic targets, they use the Mach wave of the bullet to determine its position as it passes through the target. The first sound-chamber system for big bore rifles was patented in 1975, and was used for the first time in a world championship in 1982. They function by using microphones to measure the sound wave of the projectile as it passes through the target. The target is built like a frame and covered with rubber and/or corflute sheets front and back providing an almost tight sound-chamber. Inside the chamber there are microphones, either three in the bottom of the frame, or one in each of the four corners (one Australian ET manufacturer uses eight microphones). Additionally, the air temperature inside the target is measured to precisely calculate the speed of sound. Open Sensor targets such as the Silver Mountain system also measure the sound wave of the projectile as it passes between the sensors which are mounted on the four corners of the target. The SMT system also measures the air temperature to precisely calculate the speed of sound. The advantage of this system is that the sensors can be mounted on your existing targets which significantly reduces the cost compared to sound-chamber systems. Also, in most cases your existing targets will be much lighter in weight compared to chamber targets. The cables and sensors around the target are vulnerable to bullets. While hitting a sensor or cable is actually quite rare this simply means that some spare parts should be kept on hand (wiring harness, sensor etc.). The video below shows Silver Mountain Targets in use at Camp Blanding, Joint Training Center in Florida, USA. While the targets in the video are quite different to our targets (pictured right) the principals are the same.